The agency has vowed that it will remain operative as long as possible. The Supplemental Nutrition Assistance Program also known as SNAP is unclear about what would happen after the federal money runs out. There is speculation that state agencies could continue to provide the services with their own money, or with any extra federal money they may have saved up. 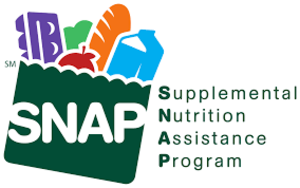 However, students who qualify under SNAP for reduced or free breakfast / lunch programs have been permitted by their parents / guardians to not sign over the funds allocated by SNAP toward payment to the Yonkers Public School District. This according to the Yonkers Tribune has created a million dollar shortfall in the Yonkers school budget.
" A travesty permitted by Yonkers City Hall because it was a politically incorrect battle from which Yonkers City Hall preferred to shrink. This $1 million shortfall has been kept hush, hush by Yonkers City Hall." Households can use benefits to stock up on food now so they are prepared if SNAP benefits become inaccessible.